As the second hand diamond jewellery specialists with over 40 years of combined experience, The Luxury Hut provides you with a vast collection of beautiful pre-loved diamond jewellery. The Luxury Hut has every kind of second hand diamond jewellery, , including diamond rings, engagement rings, earrings, necklaces, pendants, bracelets and much more. 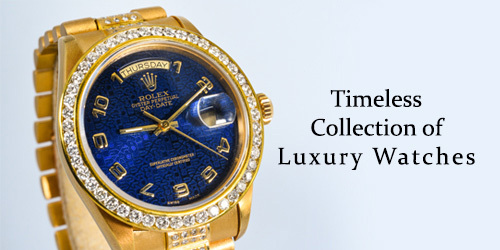 At The Luxury Hut, you will find a fantastic collection of second hand jewellery to choose from. Just browse through our online shop now. You are assured to find the perfect diamond jewellery piece that you are looking for long at an affordable price. Many people prefer to buy second hand jewellery over a brand new piece. 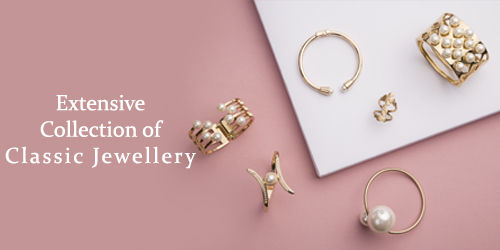 Apart from the huge saving, there are also many strong reasons why purchasing pre-owned jewellery may be the right choice. Most old jewellery items were handcrafted using techniques and knowledge that no longer exist. And they cannot be reproduced today by anyone. Every piece of jewellery, be it is a pre-owned engagement ring or second hand diamond ring, has a personal story or history of its own. It is possible that the pre-owned diamond ring you purchased was produced in the early 1900s. Or, you may find a style that was famous in the past decades or is quite unusual in the new designer jewellery. You can indeed have an exciting and fun experience browsing through our second hand diamond jewellery at The Luxury Hut. You are likely to find a beautiful piece that you can relish for generations. All our second hand engagement rings at The Luxury Hut are in their best quality and standardand refurbished to as new condition. 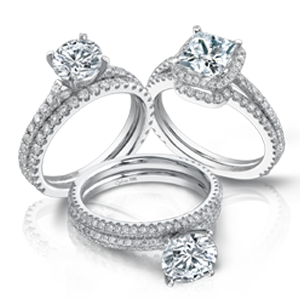 You will find beautiful engagement rings that are built from different materials like platinum, yellow gold or white gold. We also have diamonds of different colours and cuts like an emerald cut or round cut. Our pre-loved diamond jewellery collection includes many exquisite diamond rings to fit on all special occasions. You may want to buy a second hand diamond ring to gift your beloved partner on your first wedding anniversary. The Luxury Hut can make it easy for you – select our pre-owned diamond jewellery section, browse through our collection and buy a diamond ring online at a low price as per your choice. We have a wide variety of pre-owned diamond pendants in different styles and designs. If you are looking for a beautiful necklace at a low price, browse our range of second-hand diamond pendants. It is well worth to have a look through our collection for finding the perfect item.